Click here to see the latest road closures and road works. 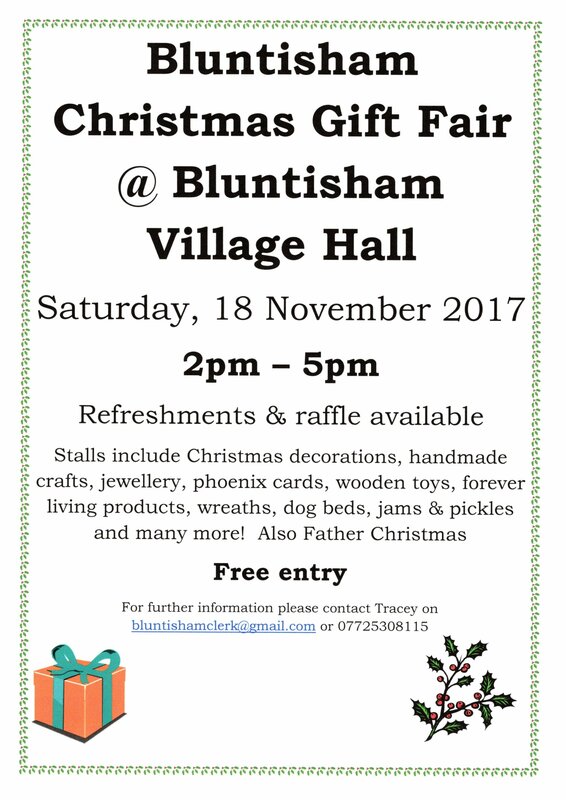 Well the countdown begins…………….not long to wait until the Bluntisham Christmas Advent Window starts. For those who were not involved last year then let me explain what happens. There are 24 windows to find in the village all will be clearly marked with a number 1 – 24. On that date in December the advent window display will be opened. Pictures will be posted on social media and this website will also be kept updated. See below for a list of addresses taking part in the 2017 Advent. If you are not involved and would like to take part next year then please drop me an email and I will store your details and save your date. There is no prize, purely the fun of taking part. 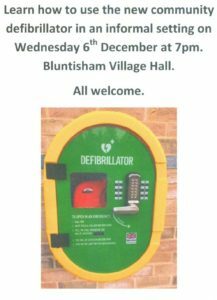 For some years now Bluntisham Cricket Club have had an ambition to build a state of the art cricket net facility to replace the aged nets in the corner of the recreation ground. In order to achieve their ambition, the Cricket Club undertook a series of grant applications, and have been successful in securing full funding from Mick George limited for these nets. 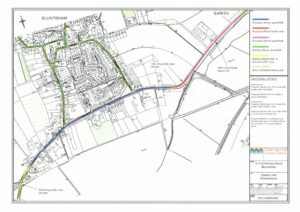 The Parish Council have supported the cricket club throughout this process and have agreed to rent the required strip of land to the cricket club on a long term basis on which these nets are to be constructed. 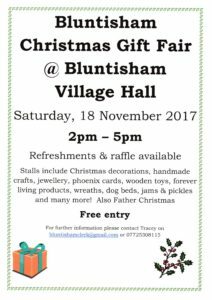 They will be located to the right of the Village Hall as you look at the hall from the cricket square, and will be the same width as the hall. They will be fully fenced in and comply with the latest ECB regulations, providing Bluntisham Cricket Club with the sparkliest nets in the area. The nets will not have lighting and will be the responsibility of the Cricket Club for all insurances, maintenance, security and repairs with the Club paying the Parish a peppercorn rent for the land. 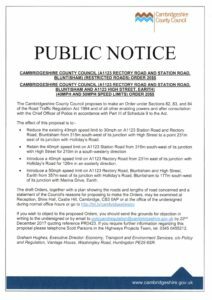 Construction is due to start at the end of November and should be finished before Christmas. 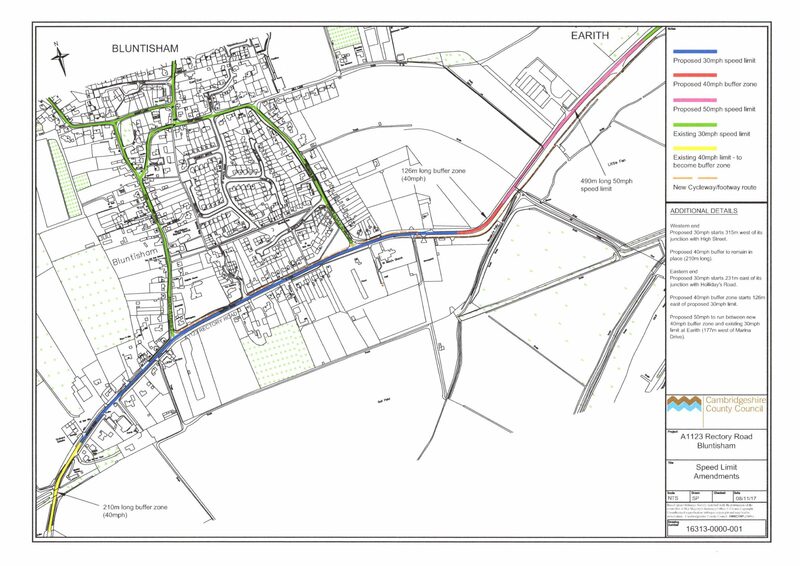 The Parish Council have worked closely with the cricket club and their contractors and there are plans in place to ensure that the construction area is secured and that any damage to the area and surrounding area is made good once the work has been completed. Once completed these nets will be 100% managed and maintained by the Cricket Club and are not the responsibility of the Parish Council. It is the intention of the Cricket Club to lease these facilities to other cricket clubs and coaches, but the main purpose of the nets are to provide a state of the art practice facility for Bluntisham Cricket Club and increase the profile of the club within the village and local area, encourage the continued development of the Junior teams and hopefully nurture a future England captain. 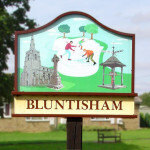 All of us at the Parish Council welcome this development and hope come the new season Bluntisham achieve new honours and look forward to a sunny summer afternoon watching the teams playing at home. 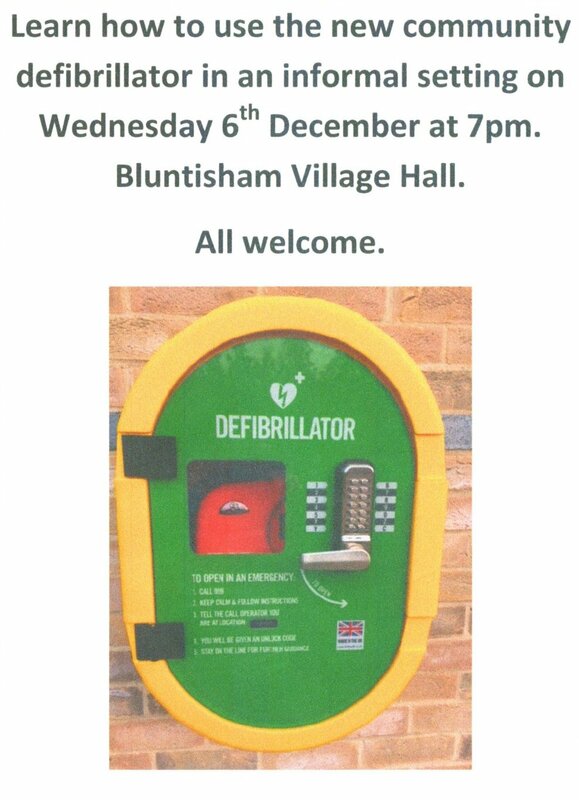 Come and learn how to use the new community defibrillator. this has been a long term ambition and the calming affect of the proposed refuge islands now allows it to be a firm proposal. Subject to the results of a public consultation, it could be implemented next spring. 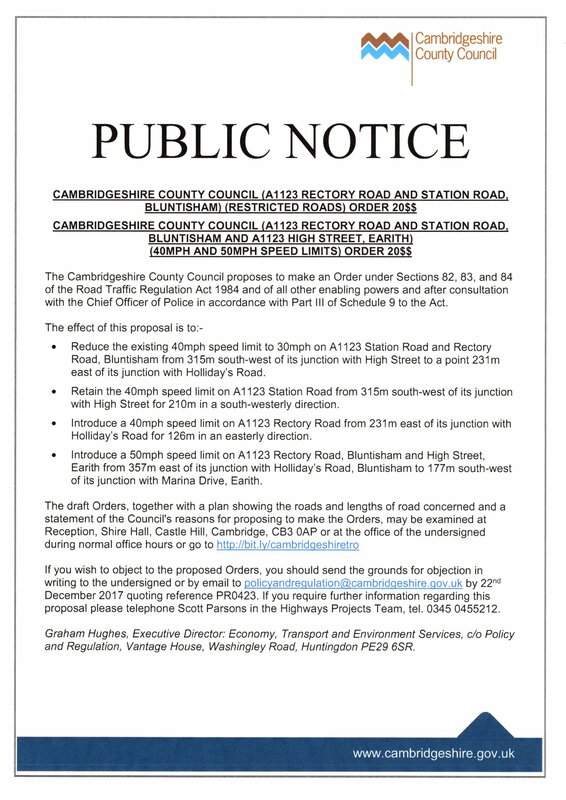 See the plan below which shows the proposed speed limit changes. The next PC meeting will be held on Monday 20th November and is an extraordinary meeting. The finance meeting will follow on the same day. This Saturday from 2pm. Free entry.